Stretching down the southeast coast of Bali, Sanur is a quiet, relaxing beach resort town that is famous for its long, white sandy beach and a distinct village ambience. This oldest upmarket resort town of Bali is more expensive than Kuta and appeals to middle-aged visitors and family groups. Sanur offers world-class facilities to its tourists amid calm, serene surroundings, and is simply a perfect destination for tourists seeking a holiday cocktail of sea, sand and sun along with their family. 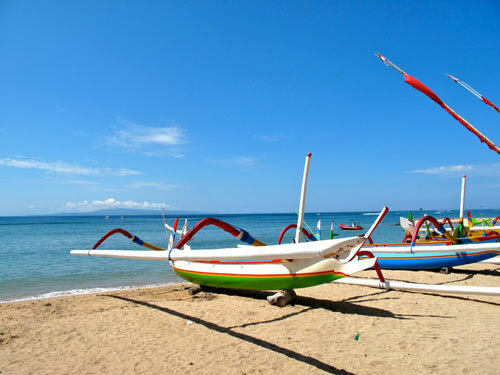 Sanur is located in the southeastern outskirts of Denpasar and is one of the main water sports centers in Bali. The 5-km long coastline in Sanur runs from Matahari Terbit Beach to Mertasari Beach. 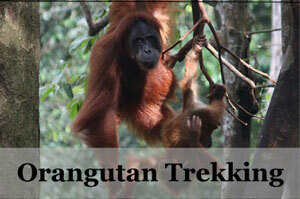 There are enough bars, restaurants, resorts, and shopping markets to entertain the visitors. Sanur is also a perfect place to bring kids and serves well as a base to explore other parts of the island. 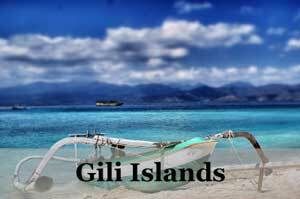 Sanur is located about 10 km from Kuta and 18 km from Ngurah Rai in South Bali. To enjoy water sports with your family at a beach resort with a distinct village atmosphere. Sanur enjoys a tropical weather all year round just like the rest of Bali. October to March is the rainy period and only a few tourists prefer to visit the town during these months but this could mean you can have the place more to yourself. May to August is the best time to visit due to perfect weather conditions. You can also visit Sanur in the month of July to be a part of International Kite Festival and watch hundreds of giant colorful kites being flown in the sky of Sanur. Le Mayeur Museum – the former residence of famous Belgian artist Adrien Jean Le Mayeur (1880-1958), one of Bali’s first expatriate residents. Mayeur arrived in Bali in 1932 at the age of 52. In 1935, he married Ni Pollok, the most famous legong dancer of her times. Mayeur made many paintings of Pollok, while living in this house. He died in 1958 and after some years, his residence was converted to a museum in memory of the artist. The museum today exhibits about 80 paintings of the artist, most of which were created in the courtyard garden of the house. International Kite Festival – One of the famous Bali festivals, it is held in the month of July on Padang Galak beach near Sanur. 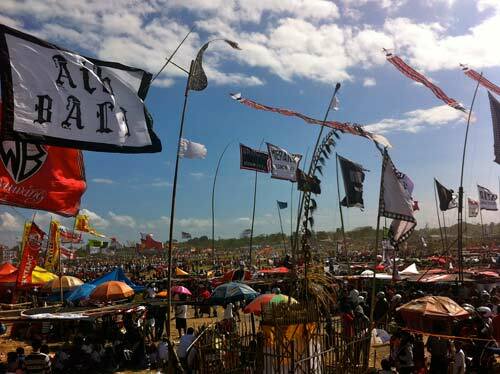 The festival is attended by many village teams coming from different parts of the island. Traditional Balinese kites are made and flown in the sky to send messages to gods to bless Balinese people with health and prosperity. It is simply a wonderful experience to watch big, colorful kites flying in the sky of Sanur during this festival. Enjoy water sports – although experienced divers prefer sites off east and north coast of Bali, Sanur is a good place to learn diving. Most of Bali’s reputed dive operators have their offices in Sanur and offer fun dives and dive trips to tourists. 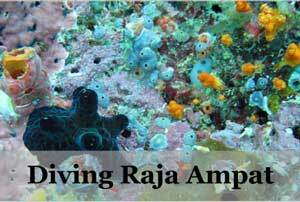 Many diving centres also run internationally certified courses (introductory and advanced) in diving. 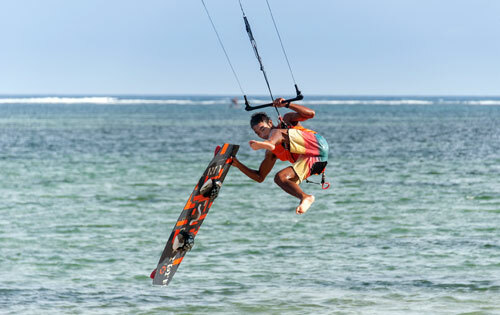 You can also enjoy kitesurfing, paragliding, windsurfing, and other water sports at Sanur beach. 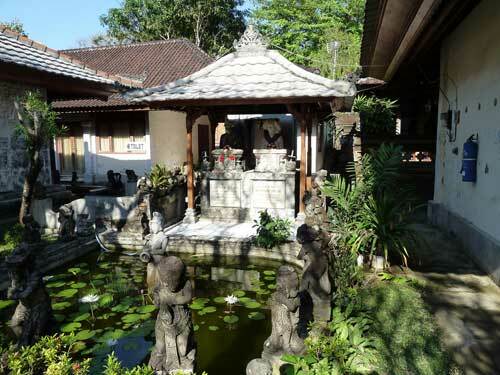 Shopping – as one of the best places to shop in Bali, there are plenty of shop along Jalan Danau Tamblingan, the main shopping area of Sanur. The side streets leading from Jalan Danau Tamblingan also have numerous shops selling everything from cheap cotton clothes, t-shirts, souvenirs, and Balinese handicrafts to hand-made kites, sandals, and other items. Sindhu Market located at the northern end of Jalan Pungutan is another good market famous for interesting art and handicraft items. Majority of accommodation options in Sanur belong to mid and high-range bracket aimed at families. Most of top hotels and resorts in Sanur can be found on the beachfront, such as Fairmont Sanur Beach Bali, Maya Sanur Resort and Spa and Tandjung Sari Hotel are among the mid to top-end options. These hotels offer nice facilities like air-conditioned rooms, beautiful gardens, beach access and attractive setups. Budget accommodation is available in Sanur but limited. Around Jalan Tamblingan are the main areas where you can find nice budget accommodation, such as Mona Homestay and Sindu Guesthouse *. This villa offers a tropical retreat with style. With a clever mix of victorian and Balinese design, these elegant villas come with a pool and private terraces. It is just a 3 minutes walk to the beach and of course with many locations to enjoy a view of the sea as a backdrop while you relax. Prices starting from only 150 USD. The Night Market at Jalan Danau Tamblingan/ Jalan Sindhu crossing is a good place to try cheap local Indonesian food. 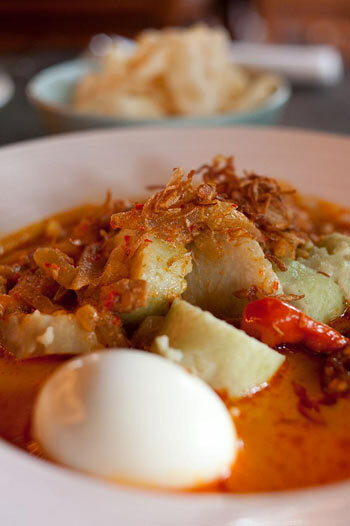 There are plenty of good restaurants on Jalan Danau Tamblingan, and between Jalan Kesumasari and Jalan Duyung. Abian Boga Restaurant on Jalan Kesuma Sari is a good place to enjoy grilled seafood along with dance performance. Bonsai Café, Kafe Tali Jiwa, The Bali Pub, Cafe Batu Jimbar, Segara Agung, and Treo Beach Café are some other popular spots frequently visited by food lovers in Sanur. For those who are fond of wine, there are many bars along Jalan Danau Tamblingan. If you are coming to Sanur/Bali by air, you will land at Ngurah Rai airport located in Tuban area about 18 km from Sanur. It takes just 20-30 minutes to get to Sanur using a metered or prepaid taxi from the airport. 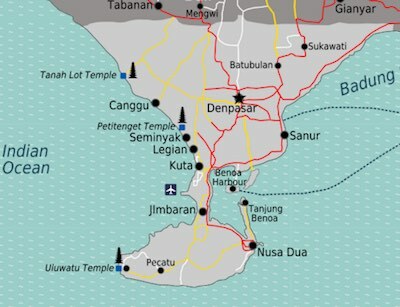 Direct bemos to Sanur are available from Denpasar’s Tegal terminal. 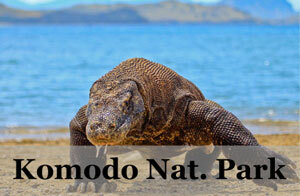 Private tourist shuttle buses to Sanur are available from Kuta, Candidasa, Ubud, Lovina, and some other towns of Bali. White Batubulan-bound Damri bus service is a good option to get to Sanur if you are coming from Nusa Dua. Metered taxis are readily available in the town and can be used to explore the area. You can also use public bemos plying between Denpasar’s two terminals to get around the main roads of Sanur. 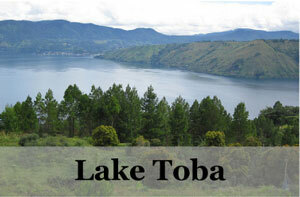 Most travel agencies on Jalan Danau Tamblingan rent out cars and motorbikes to tourists. Exploring the town on bicycle is a nice option for those who can do it; the town is not very large and streets are also perfect for bicycle riding. 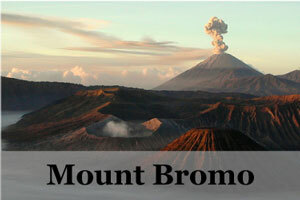 Denpasar – the administrative capital of Bali, featuring lots of tourist attractions to explore. 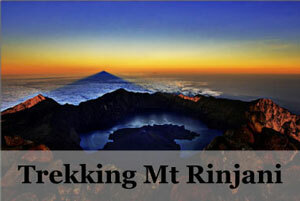 Kuta – famous for its white sandy beaches and lively nightlife. Serangan or Turtle Island – located 3 km south of Sanur and a perfect place to watch hatching of eggs in their natural environment. Visit Turtle Conservation Centre to learn more about the various initiatives that the authorities take to save turtles on the island. Jimbaran, a seaside location famed for delicious varieties of beachside grilled seafood.